Looking For A Dental Plan That Pays For Implants? Will My Dental Plan Pay For Implants? A successful dental implant procedure should give you many years of comfort while eating and speaking so it makes sense to find a dental plan that pays for implants. Many consumers are faced with a tough financial decision when they need to replace their missing teeth: opt for a second place course of treatment that is more affordable, or invest in a plan that they might not be able to afford out-of-pocket. And for many people the out-of-pocket expenses are a reality because when people do want to use their dental cover they discover that implants are listed as exclusions or extras on their policies. Why don’t dental plans pay for implants? Implants are usually considered to be elective procedures, or non-essential, and for this reason many providers do not want to offer cover under basic or major dental plans. A basic dental plan will cover your essential dental expenses like visits to your dentist, professional teeth cleaning, fillings and extractions. Major cover will usually give you access to services like crowns, complex fillings, bridges, dentures and even orthodontics. And, probably because of the higher cost of the procedure, dental implants are often singled out as exclusions from both types of cover. 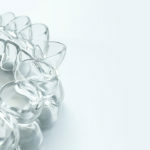 Even though the failure rate for implants is statistically very low, many providers do not cover the associated costs. Unlike dentures and bridges, implants do not impact on the wear and tear of your surrounding teeth, and can ensure that your jaw bone remains strong and healthy by preventing the exacerbation of bone loss. They also have a longer lifespan and offer the user a greater degree of comfort and confidence when wearing them, as compared to bridges and dentures. There is some hope that dental plans will start to cover the implant procedure, as they realise how effective it is and weigh up the costs of treatment of implants vs bridges and dentures. Sometimes your provider may allow you to upgrade your dental plan to cover the implant procedure or pay for part of the implants. These conditions may be subject to a waiting period though, so it’s worth checking up on that. They may also only pay up to a certain threshold, or require a gap payment, so also check if those limits apply. You may be able to apply for specialist cover, just for your implants and repay it at a higher interest rate over a few months. Speak to your dentist about for advice. He or she may be able to recommend plans that others have followed. Make sure you get a comprehensive and thorough quotation so that you can cross check what your provider will cover. It’s important to do this before embarking on treatment so you don’t overestimate your reimbursement and overspend. Because there is a surgical component to the procedure, some health insurance plans may cover a portion of the implant treatment. Still have questions about implants and their affordability? Contact our friendly team today for a convenient appointment. 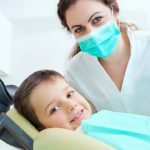 Can You Claim Child Dental Benefits From The CDBS? How White Can My Teeth Get? The Tooth, The Whole Tooth and Nothing But The Tooth!